« The Truth is Out There! This is another shot from ‘The Night’ down south. The sun had well and truly set and I found myself just standing in this spot just enjoying listening to the waves crashing against the rock, so I thought I’d capture the moment to remind me of how relaxing the place was. I can’t believe our run of bad light here in Perth, when we were down south the light just seemed to be awesome the whole time. Being an absolute plane freak I can’t wait for this Friday so that I can go and watch the Red Bull Air Race from the Mends St Jetty without the crowds. Its so cool working in the city because over the next few days I’ll be able to hear the planes buzzing around. Woo Hoo!!! This entry was posted in Australian Landscapes and tagged australia, contos, down south, margaret river, red bull, western australia. 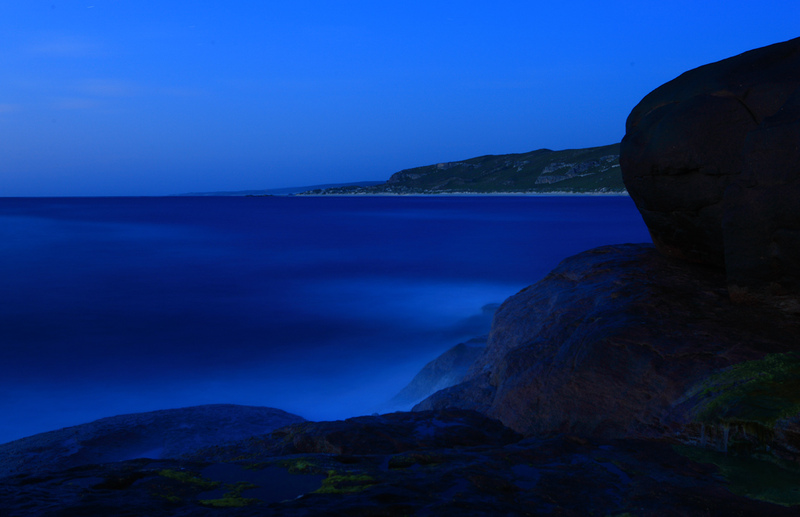 Hey mate…love Contos, many a happy day spent surfing then salmon fishing down there! I know what you mean about the planes…they fly directly in front of my office window during practise this week, we get to see the whole thing. Hey Jamie cool shot.What time you going down on friday? I’ll probably be down there at 12:30. Clint is coming along as well so I’m not sure what the light is going to be like. Wont be able to make it to the redbull airrace sorry mate . At least I will be able to hear it from my place . Cool Mel look forward to catching up. You’ll be able to meet little Xavier as well. Thats cool,I’m bringing Max he will love to see him….I’m excited! !The planes have been around my house a lot today.So do you have a zoom lense?How big will I need? wOOt more plane freaks! unfortunately i dont have a zoom so im not going to the air race. Next year maybe? Nice shot Jamie. The cool colour temp really suits it. Good luck with your shooting down at the foreshore. I will be at work listening to that nnnnnnnnyyyyyyyoooooooooowwwwww sound all bloody day. I’m probably not taking my camera you need a focal length of around 400mm to get anything decent unfortunately and my longest lens is 200mm. Having said that I might give my 2x extender one last shot. So I will be at the Mends St Jetty around 12:30pm.